Norah Duncan IV is Professor and Chair of the Department of Music at Wayne State University. He is also the Area Coordinator for Organ Performance. Additionally, he directs the WSU Concert Chorale and coordinates many of the choral concerts presented by the Department of Music. Duncan received an undergraduate degree (English Literature) from the University of Detroit, a Master of Fine Arts degree (Organ Performance) from Wayne State University, and a Doctor of Musical Arts (Church Music/Organ Performance) degree from the University of Michigan. Norah Duncan IV is a multi-faceted musician. As an organist, he has performed extensively in both the United States and Europe. Recently, he presented organ recitals in Trier, Germany and Sydney, Australia. As a liturgical musician, he has been music director for the Cathedral of the Most Blessed Sacrament for over 26 years, both planning and directing music for both major Archdiocesan liturgies and local parish celebrations. He is the second longest serving Roman Catholic cathedral musician in the country. Among his greatest achievements as a liturgical musician was as director of music for the historic visit of Pope John Paul II to Detroit in 1987. With the Benedictine Monastery in Solesmes, France, Norah established the Gregorian Institute of Detroit for the study of Gregorian chant. He has presented papers on liturgical music at international congresses, clinics and workshops in Rome, Dublin, and for the Diocese of Engu and the Archdiocese of Abuja, in Nigeria. 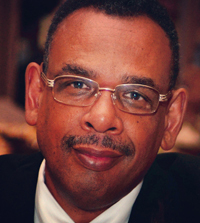 As a consultant, he has been on the editorial review board for Oregon Catholic Press, and presently is a member of the music review committee for the revision of "Lead Me, Guide Me," the African American Catholic Hymnal. He is also a member of the Education Board of the Detroit Symphony Orchestra. As a choral director, Norah has presented major concerts under the Cathedral Cultural Series with the Archdiocesan Chorus, and has collaborated in concerts with the Wayne State University choral ensembles, the Brazeal Dennard Chorale ensembles and the Detroit Symphony Civic Orchestra. In both 2004 and 2005, he directed the Michigan Youth Choral Ensemble in Carnegie Hall in New York City. Duncan is the recipient of the Award for Excellence for Musical Direction from the American College Theater Festival, Washington, DC, the Sr. Thea Bowman Award of the Archdiocese of Detroit, the Spirit of Detroit Award, the Mother Teresa Duchemin Award for exemplary community service, and this year was the first recipient of the "Changing Lives Through Music" Award presented to him by Anne Parsons, President of the Detroit Symphony Orchestra.